Want to ace that perfect twirl wearing the lehenga of your dreams on your wedding day? Well, then shun that bridezilla avataar, bookmark our list of the most famous lehenga shops in town and twirl away like the happy bride you were always meant to be. WNW in Kankurgachi is a gorgeous studio that could be every bride-to-be's shopping paradise.Traditional fabrics like Benarasi and silks to chic georgette and satins - their sarees and lehengas cover the whole gamut of exquisite textiles, and wear timeless embroideries and brocade embellishments. Their couture bridal wear has that never-go-out-of-style look that every bride aspires to. They even have light wedding lehengas and sarees that will do wonders for the bridesmaids and your sister. Prices of sarees start at INR 50,000. Luxury lehengas start at INR 2 lakhs. Since its inception in 1998, Palki has been dressing brides in gorgeous bridal lehengas. Their collection boasts of Indo-western designs, that are an amalgamation of age old crafts and contemporary styles. Traditional fabrics mixed with fancy dyeing and textures are Palki’s USP. Priced at INR 15,000 and above, from party wear to lavish bridal outfits – this is where you will find everything listed under your bridal shopping checklist in Kolkata. With regal designs, intricate work and luxury written all over it, Sabyasachi’s designer bridal lehengas are to die for! 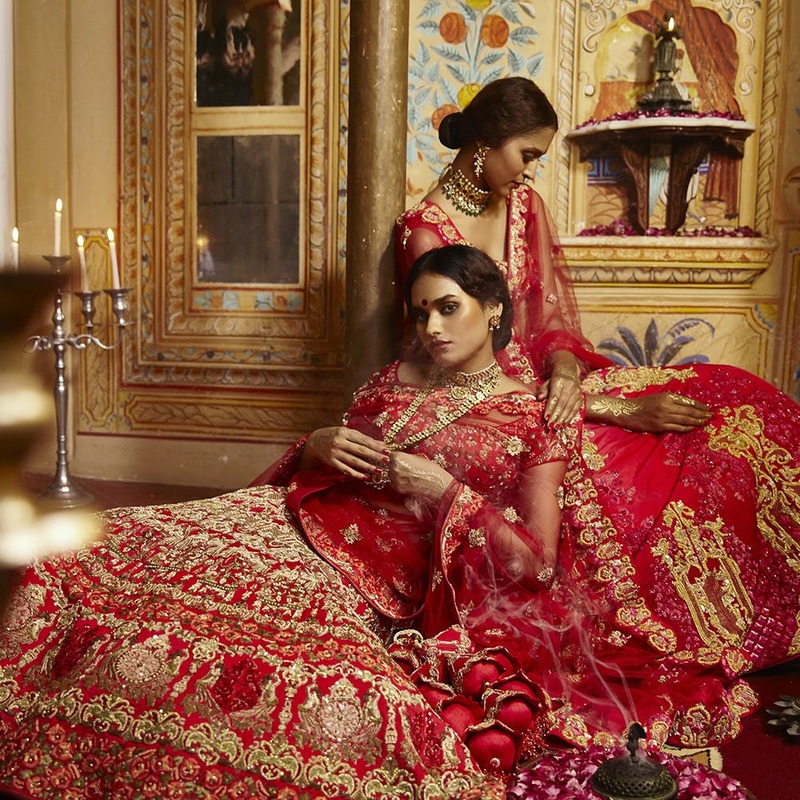 To be a Sabyasachi bride is a thing every girl dreams about. Although just a basic lehenga can set you back by over a lakh, but if it’s something you can afford, go ahead, splurge and feel like royalty on your d-day. Sasya, a multi-designer boutique spreading happens to be one of the largest in the city spread across five floors. Housing bridal lehengas by reknowned designers, likes of Varun Bahl and Tarun Tahiliani. Sasya could very well be your one-stop shop for all your bridal trousseau needs. If you have a fixed budget for your lehenga yet want something designer then head to Simaaya. This multi-designer (Harpeet Narula, Anjali Arjun, Rohit Bahl, Paras and Shalini and others) outlet is stocked with the latest fashion trends and has great customer service. Choose from gowns and lehengas, and accentuate your style quotient with a traditional yet chic look. Their outfits are priced at INR 25,000 upwards. Vedam, another gem among the lehenga shops in Kolkata with names like Rohit Bal, Rocky S, Manish Arora and Tarun Tahiliani. Sarees, wedding gowns, lehenga cholis, jackets, tunis, grooms wear and accessories – they have it all. Pricing starts at INR 35,000. All your lehenga dreams will come true at 85 Lansdowne. This boutique houses forty-five well-known fashion designers from all over India. We really loved the gota anarkalis by Nidhi Tholia. You can also shop for beautiful sarees in contemporary styles. Tanshi at Park Street is another one of the popular lehenga shops in the city. With a wide range of bridal lehengas in traditional as well as contemporary styles you will be spoilt for choice. If you want some changes made on an already existing design like adding a few motifs or jazzing it up with additional sequins, allow them to oblige you with their expertise. Saroj Jalan’s designs showcase some of the best wedding attires that are deep-rooted in Indian tradition with a contemporary blend ensuring you find your dream lehenga. Her lehenga sarees are a beautiful blend of magic and elegance that creates a look so endearing that it will be difficult for your groom to take his eyes off you. Manoj Agarrwal’s intricately handcrafted world of bridal wear is for the millennial bride. Known to design some really stylish, lightweight and easy to wear bridal lehengas in air like organza, net and sun-kissed fabrics. Brand Moha is inspired by India’s cultural heritage, using traditional textiles and mostly ancient mythology in their designs. Anti-machine and a master of handcrafted attire, Moha, offers everything from bridal lehengas and receptions gowns to sarees and Anarkali suits.